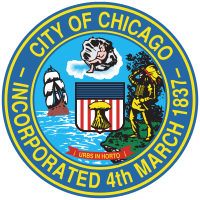 The City's Internet site allows residents to access City services online, learn more about the City of Chicago, and find other pertinent information. The percentage of the City’s Internet website uptime, the amount of time the site was available, and the target uptime for each week are available by mousing over columns. The target availability for this site is 99.5%. Number of WiFi sessions per month provided at Chicago Public Library locations.